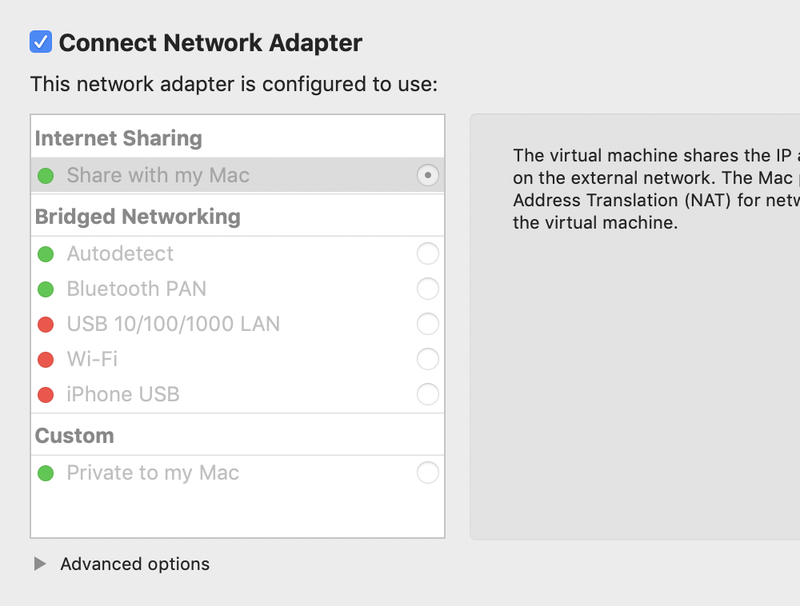 You can’t change to Bridged Networking at all, even if you uncheck and recheck Connect Network Adaptor, or remove the NIC and add it again. The GUI semi-workaround is the same for whenever this happens. When the VM is running, click the Virtual Machine menu, hover over Network Adaptor, and choose your desired setting. schmitgreg over on the VMware Communities forum also suggests some file removals to restore this functionality, which I haven’t tried yet. I was one of the beta testers for the original Parallels Desktop and VMware Fusion back in the day. The former seemed more polished, but I ended up buying Fusion for its FreeBSD support and better compatibility with other VMware systems for work. A little birdie at AsiaBSDCon in Tokyo joked that a surprising amout of bhyve was written on Fusion. But these niggling issues do keep cropping up, a decade later.